Provide comfort for the family of Teena Hingley with a meaningful gesture of sympathy. 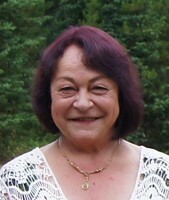 It is with a heavy heart that the family of Teena Marie Hingley, 58, originally from Bayport, NS, residing in Sparwood, BC, announces her passing on Sunday, Dec 23, 2018 at Elk Valley Hospital, Fernie BC. Born in Lunenburg NS, she was the daughter of the late Bobby (Robert) and Marguerite (Zwicker) Spindler, Bayport NS. Teena was a kind hearted, soft spoken and loving person who always put others first. Survived by her partner Ivin Duchscherer of Sparwood, BC; daughters Crystal, Jennifer, Katie; son Ted; grandchildren Lynton, Jake, Dakotah, Adrien, Matthew, Harley, Deklan, Desmon, and Evan. She was predeceased by her brother Gary Spindler. To plant a memorial tree in honor of Teena Marie Hingley , please visit our Heartfelt Sympathies Store. We encourage you to share your most beloved memories of Teena here, so that the family and other loved ones can always see it. You can upload cherished photographs, or share your favorite stories, and can even comment on those shared by others. I am so sorry for the loss of your beloved Teena. This is never easy to face, in fact, death can be viewed as an enemy. That's how our Creator Jehovah views it as according to 1 Cor. 15:26; which says, "And the last enemy, death, is to be brought to nothing." May you find comfort in knowing this and that he has a longing to conquer that enemy, to undo death by means of the resurrection. Please visit jw.org for more comforting information.